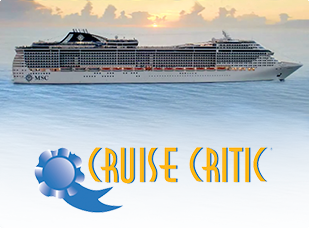 The Travel Insiders’ carefully selected Athens tours offer you the opportunity to admire firsthand all the best attractions in Athens: the Propylaia; the Temple of Athena Nike; the Erechtheion with the famous Caryatid Statues; and the magnificent Parthenon. The Greek word propylaeon literally means "that which is before the gates”. The propylaia, propylea or propylaea is the monumental gateway to the Acropolis, the best attraction in Athens. The grand staircase and the columns of this massive entrance are a busy gathering point and a favourite location for photos. Although there is not much left, you can still imagine its past glory. 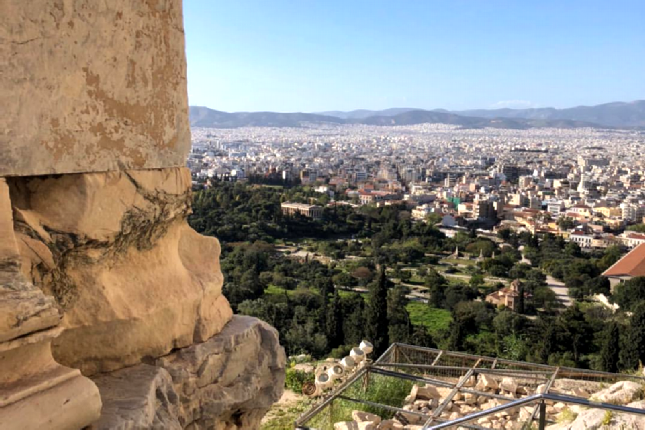 When climbing the steep stairs to the gate on your tour in Athens, be very careful as the steps are quite slippery. 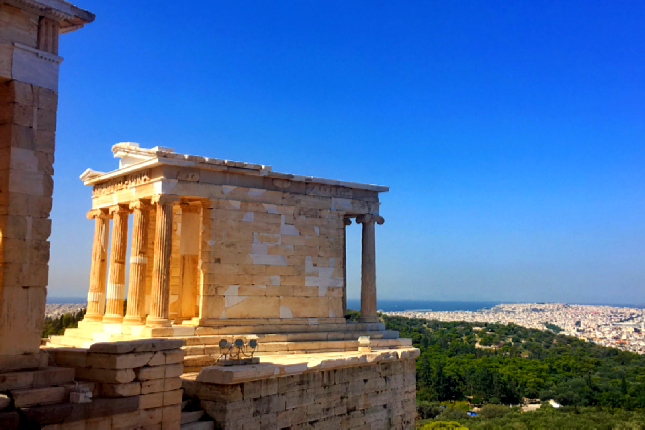 Within the site’s gate, the fist structure you will encounter on your Athens tour is the Temple of Athena Nike, dedicated to the goddess Athena Nike. 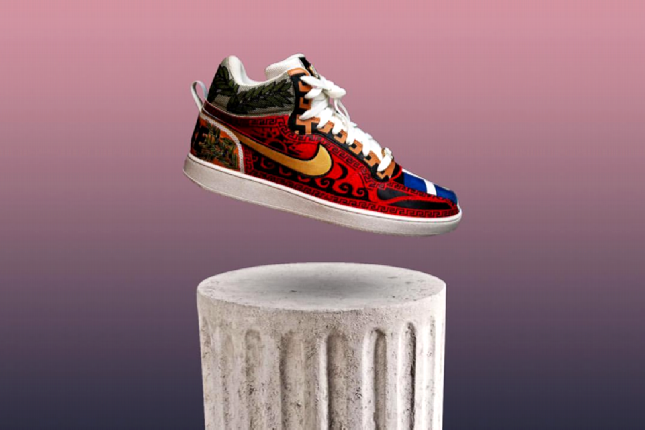 Nike means "victory" in Greek, and Athena was worshipped as the Goddess who stands by the Athenians in time of war. And yes, the American multinational corporation, Nike, Inc., takes its name from Nike, the Greek goddess of victory. The Nike logo also resembles the wing of the Greek goddess. The temple is the smallest on site and is situated at the southwest corner, at the edge of a high cliff. Due to its small size, it has only four columns on each end. The four columns are monolithic, meaning each one of them was made of a single block of stone. This elegant structure is sometimes referred to as “the pearl” of the best attraction in Athens since it was designed and adorned with great care. Only fragments remain of the frieze and relief sculptures, now hosted in the Acropolis Museum. The Erechtheion is the ancient Greek temple on the north side of the best attraction in Athens, dedicated to both Athena and Poseidon. The Erechtheion, which was named after Erechtheus, the mythical demi-god Athenian king, was regarded suitable to house the ancient wooden cult statue of Athena. The area around it was considered the most sacred of the polis. On your Athens tour, you will witness this extraordinary marble building, built in the Ionic order. The eastern part was dedicated to Athena and the western part was dedicated to Boutes, Hephaistos and other gods and heroes. On your Athens tour of the Acropolis, you will notice that on the south side of the Erechtheion there is a large porch with the famous "Maidens". 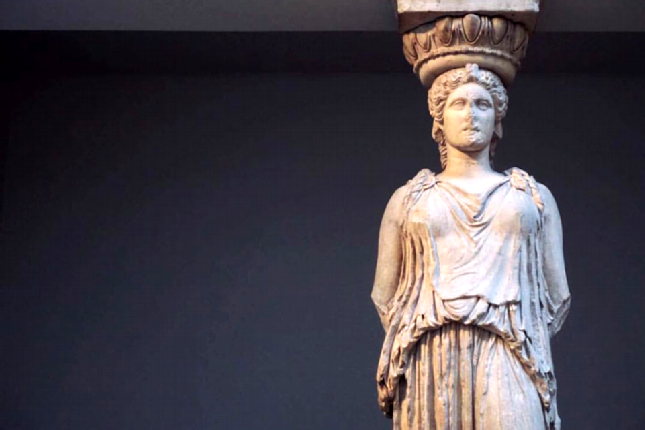 These famous Caryatid statues, six female figures who support the roof, are actually replicas. One of the original statues was removed in the early 19th century by Lord Elgin and is now in the British Museum in London. 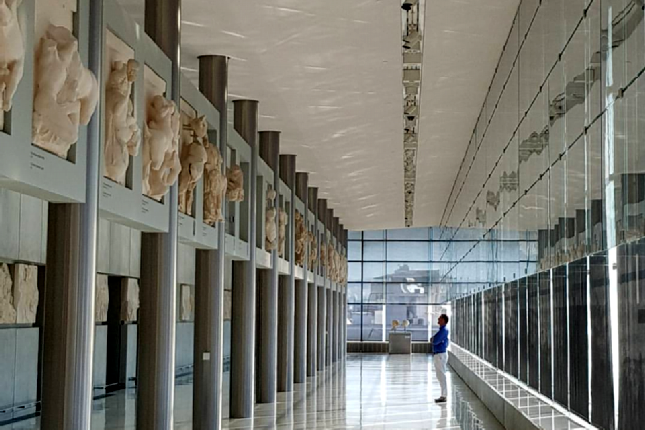 Five of the other original statues are now in the new Acropolis Museum, on a special balcony that allows one to view them from all sides. The pedestal for the removed Caryatid remains empty. Although the six Caryatids may look the same, their faces, stance, draping and hair vary in detail. 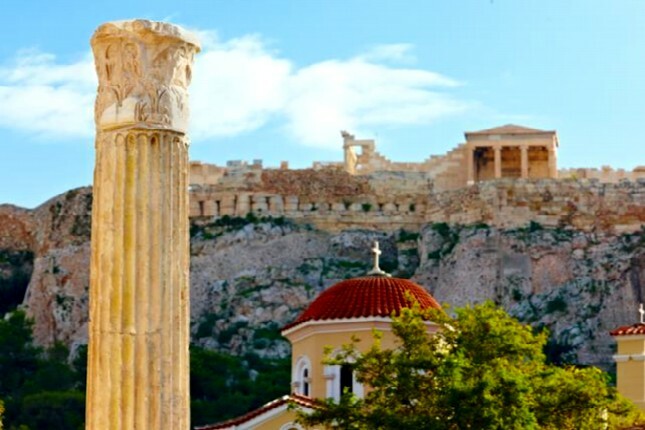 Top on the list for the best attraction in Athens is The Parthenon, meaning "unmarried women's apartments" in Greek. 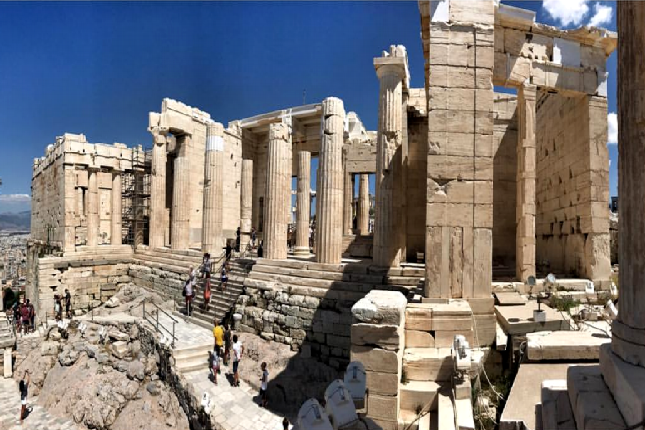 This temple was dedicated to the goddess Athena, the patron of Athens. The ancient architect Iktinos overlooked no detail in its design. 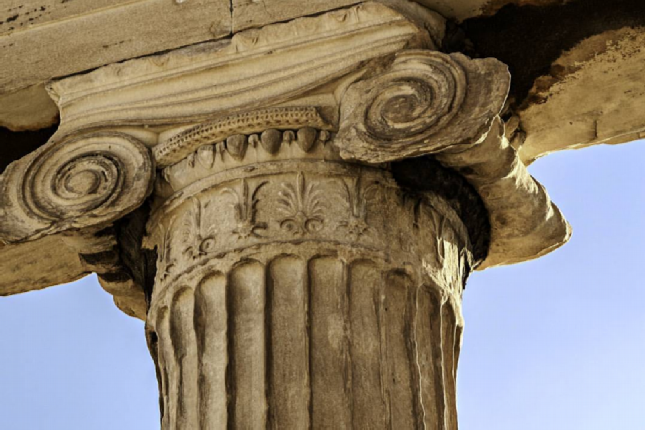 He placed 8 columns, instead of the typical 6, at the front of the temple. Fearing they would look frail from a low standpoint, Iktinos made all the columns bulge slightly to create an optical illusion of perfect symmetry. Iktinos’ passion with proportion and order pushed the Parthenon past Classical architecture into the sublime! 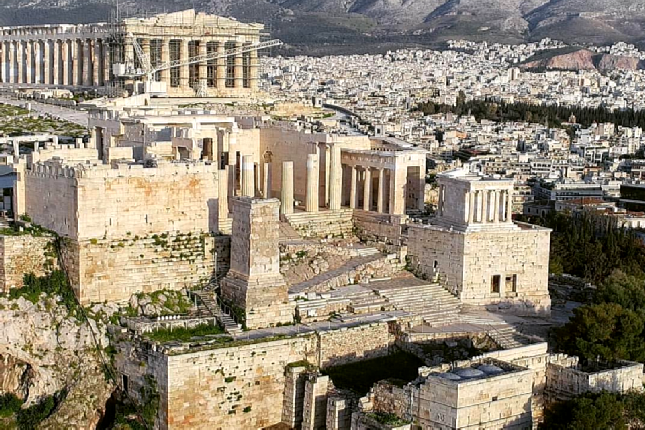 The metopes, the scenes in the open spaces above the columns, which once bordered the sides of the Parthenon, celebrated Athens’ rise to greatness. The four sides depicted: the Lapiths battle against the Centaurs; the Olympian gods triumph over the Titans; the victory of the Greeks over the Trojans; and Athens’ triumph over the Amazons. 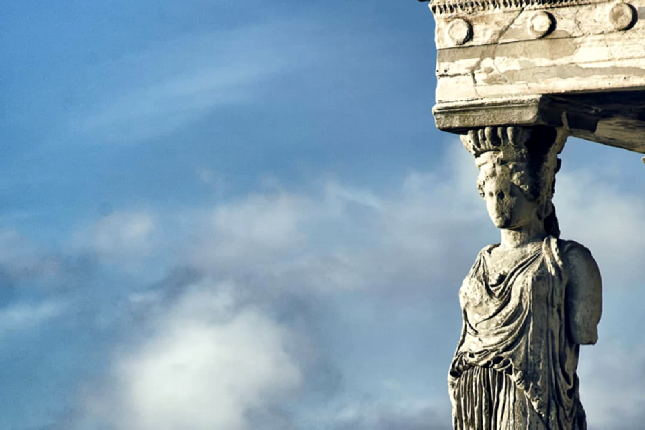 The pediments depicted Athena’s birth and Athena and Poseidon’s contest for the city’s devotion. Many of these celebratory works are now exhibited in the British Museum in London. 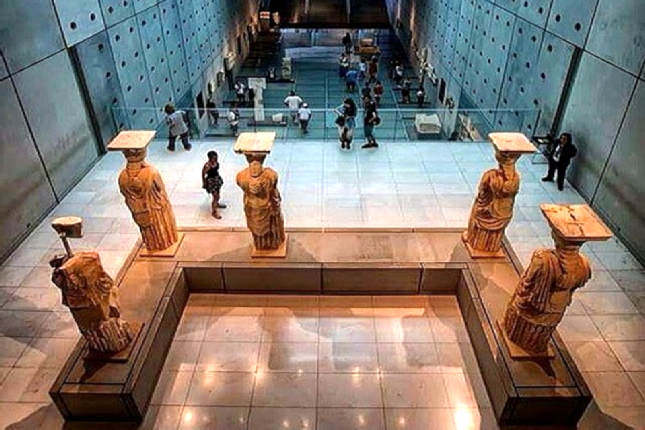 You may also admire some of these majestic works of art on our Athens tours that also include the new Acropolis Museum. A gold and ivory statue, the most renowned cult image of Athena, once stood inside the temple. The sculpture was one of the greatest achievements of Phidias, the most acclaimed sculptor of ancient Greece. This masterpiece is known only from copies, vase paintings, literary accounts, gems and coins. Pericles had intended the Acropolis to be a remarkable landmark, however, not even he could have anticipated that this very structure would come to symbolize the rise of Western Civilization or that over two thousand years later, it would attract millions of visitors from every corner of the earth! 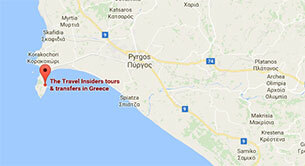 Book your favorite from The Travel Insiders’ Athens tours listed below and decide for yourself which is the best attraction in Athens!